Ansel Elgort, Jon Bernthal, Jon Hamm et al. DVD: 108 min., Blu-ray: 113 min., 4K Blu-ray: 113 min. 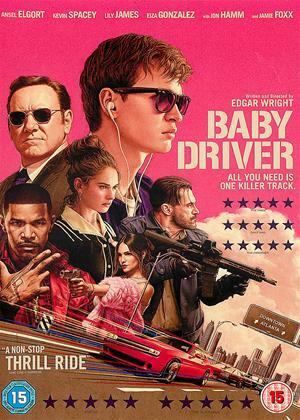 Baby (Ansel Elgort) - a talented, young getaway driver - relies on the beat of his personal soundtrack to be the best in the game. When he meets the girl of his dreams (Lily James), Baby sees a chance to ditch his criminal life and make a clean getaway. But after being coerced into working for a crime boss (Kevin Spacey), he must face the music when a doomed heist threatens his life, love and freedom. (5) of (7) members found this review helpful. The only thing I liked about this movie was the soundtrack, mainly because it's not all the usual tedious R+B wailing, but lots of classic 1970s tracks (I have never ever heard Queen's Brighton Rock referenced in a movie before - their double live album Killer from 1979 is the best live album ever made!) - oh, and Kevin Spacey who can act the socks off all those pc actors who're now getting nominated for Oscars. But he phones it in - because his role, like all the rest is 2-dimensional, unbelievable and silly. It's all a cartoon caper, with unbelievable plots and robberies, endless car chases, and by-the-book character arcs. I have no idea how anyone else could suspend their disbelief when the main character is so unbelievable and how come he has a disabled black adoptive father - someone wanted to tick the boxes LOL! And the sob-story backstory is laughable. And it's never really explained why he has to do what he does - not really - it's just mentioned in one 'oh that's OK then' line. The film is named after a mediocre Paul Simon song - so I think someone just decided to write a movie script with that title and then tried to tack on as many poop-video attention-span-challenged things to appeal to a teenage audience as they could. So all so utterly cynical - a PR and marketing exercise from the start. No idea why this film has got so many good reviews. Maybe because the director is cool? But this is NOT a good movie at all - utterly forgettable glossy dross for teenagers who like car crashes. A boy racer drives a heist getaway car while grooving to 50s-type rock-and-roll muzak. This is intended to be cool. Spoiler: it isn’t. The movie is a lightweight time-passer that moves along snappily enough, but the incessant muzak really irritates. Director Edgar Wright first had the idea for the film 22 years ago and the soundtrack’s even older. He’s responsible for it. He needs to upgrade his musical tastes. Overall it’s yet another distasteful caper movie that, lacking Tarentino-esque dialogue, views robbery and murder as nothing more than funky fun. Critics who rated it need to look at themselves. The DVD extras also irritate, offering nothing but a hagiography of the director. The film was described as basically a car chase , bank robbery and boy meets girl romance all set to a great soundtack. 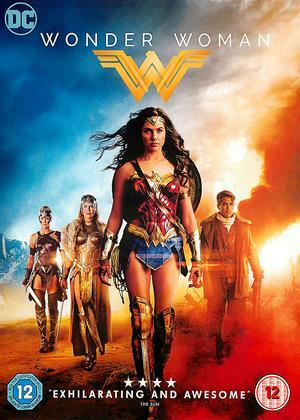 With our family consisting of a man of 66 with a thriller/drama/foriegn preference , a lady of 61 who loves rom com , drama , foreign and a 24 year old who prefers films that provoke deep thought with socialist leanings and encouragement to slay all Tories and Brexiteers , ordering this for a nights viewing was always going to be questionable , especially with the wife giving it - " its got 10 minutes then.... " . Despite this I had heard great reviews from critics that I normally follow , whose tastes are similar to mine. So it was up into the converted loft , DVD into cinema surround sound , and away to go. WHY ? Well it is hard to say , other than , yes , it was as described , but with alot more , though it was very difficult to put your finger on one particular aspect of it. It was just a great mix of everything - with a brilliant soundtrack. We all thoroughly enjoyed it and all were left with a great feelgood factor , and thats what good films do , what more do you need. And to AL ( reviewer ) I can confirm that I have joined the ranks of pre - adolescents, though at 66 I grew up long ago and dont mind giving you a few tips on how to notice a girl and give her the feelgood factor , and anything else after !!! We rented this after seeing Mark Kermode giving it some critical acclaim on his History of Cinema series. As many of the other reviewers point out, it's basically a kids film with very shallow characters, plenty of car chases and shoot-outs and a simple plot. The acting is ok, but there's not much substance in the screenplay to be able to give any great performances here. What saves the film and kept us watching to the end however is the incredible synchronisation of action to the music soundtrack. The music is good and varied, and every door opening and closing, every footstep, every car squeal and crash and even all the gunshots are in perfect time with the music. A very clever and impressive achievement of film making, especially as the action appears fluid and not at all contrived. Photography, soundtrack and editing are all excellent. One of the main characters, Bats, who spoke a lot of the dialogue, spoke it very fast, very quietly and muttered with a thick american street accent, with the result that we couldn't make out more than about 10% of his lines. 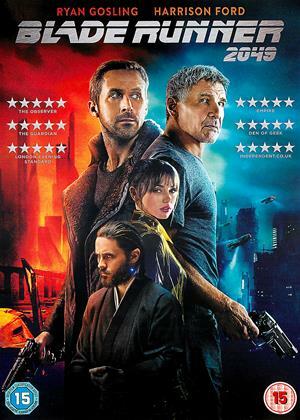 However dialogue in this film is redundant to a great extent and although the problem was annoying it didn't detract from the enjoyment of the main attraction of the film - such brilliant editing. I was surprised by this film, and I quite enjoyed it. It is overly choreographed and has that musical feel but is certainly an action movie. Very interesting. Good cast. If I could give this less than zero, I would. A travesty from start to finish. Characters who don't even reach two dimensions, car chases that fizzle out, rubbish music and a laughable storyline. Film critics should take a long, hard look at themselves for talking up dross like this. - And the last contestant on tonight's Stars In Their Eyes is film director Edgar Wright. Tell me Edgar, who are you going to be for us tonight? - Tonight Matthew I'm going to be Quentin Tarantino. This is rock solid good. So what if it is a carton caper and Baby’s back story is slightly ridiculous. The car chases are great and the twists and turns worth the wait. Baby is an interesting character and, together with the soundtrack, make the movie different and very entertaining. Definitely 110 minutes we’ll spent. 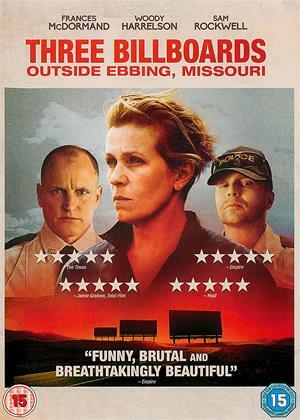 Very entertaining original film, amazing driving sequences and fine acting from everyone. Can thoroughly recommend. Oh my what a stinker, thinking that a great sound track could cover up a poor script might work for the pre teens I assume this is aimed at but unfortunately the music chosen for this film is just awful. Tries to be a stylish slick movie but unfortunately feels this has been made for the gaming generation without much thought towards the script writing. Usual array of stars including the very much in Lily James the very much out Kevin Spacey, Jamie Foxx and some young fella who plays the silly named 'Baby' and frankly doesn't do much acting but is a genius at driving a car for getaways and also has the ability to be a free runner whilst having tinnitus (blocked out by playing his i-pod constantly which just happens to be good for the soundtracks of this movie) caring for his deaf foster father whilst also having the ability of lip reading. If you think this is far fetched well the plot is thread bare and includes a few heists with some unscrupulous characters also has a rather dull romantic part combined with the deaf foster father thing going on - sounds chaotic?...well yes it is and not in a good way. Somebody needed to put a decent script on this rather than relying on it trying to be hip. It was a fun bit of popcorn to watch. Good soundtrack and car chases, but lacking any real depth or characterisation. True Romance did it so much better! Someone I know has a film rating method where he starts with 10/10 and knocks off 1 point for each fault. If a film sets out to be an action movie, and it delivers that flawlessly, it's a 10/10 action movie, etc. Baby Driver is a heist movie with a smile on it's face. It delivers that pretty much perfectly. Kevin Spacey phones in a Kevin Spacey performance so I dock a point on my friends rating. My own rating method means I can't give a heist movie full points as I'm highly unlikely to watch it again. But I'd recommend this film without a seconds thought. Great soundtrack, and not as I'd thought, dominating the whole movie. A better plot line than I'd expected, and I enjoyed it more than expected too. It's not art of course, and character depth is somewhat lacking in the women's roles - and you could argue the central characters themselves play cipher or caricatures of good/bad guys. But it is made with an artistic eye and is good to watch. The only reason this got 2 stars instead of 1 is that I have to admit the film looks good and there are well choreographed scenes. The car chases are well done; they are wildly unrealistic, but then so are most movie car chases. That is the problem with the movie - its all style. Especially annoying is that the film was written and direct by Edgar Wright, a massively talented filmmaker. Yes, Baby Driver has a cool soundtrack, but that alone is not good filmmaking. I'm a fan of Wright (Hot Fuzz in particular) but he really dropped the ball with this one. The storyline is both wildly unbelievable and yet not remotely interesting and features a cast of cartoon-like characters that lack any kind of depth or intrigue. Spacey is some kind of criminal kingpin but there is no explanation of who he is, why he is powerful and why we should care. He organises robberies of banks/post offices by armed 4 person units (seriously, in 2017); one of these robberies involves a Mike Myers joke that should have been deleted as soon as the scriptwriter sobered up. 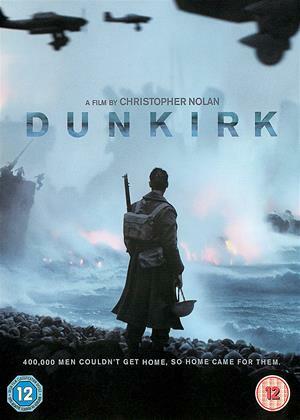 A massively under written romantic plot features the beautiful Lily James playing an apparently lonesome waitress who falls for our bore of a 'hero' for no reason. She works in an almost empty cafe in a built up urban area that I'm sure would be full of leering men in real life. Oh and James is doing an accent, I think she was going for 'American' but I can't be sure. The other crew members are buffoonish idiots/thugs (Gonzalez seems to be there just to look hot) and Foxx has way too many 'slick' on liners that sound like they were written by a 14 year old who has just seen Pulp Fiction for the first time. Why would Spacey's character pick these nobs to carry out his oh-so-clever robberies? Also the police appear to give up solving these crimes after 10 minutes of a car chase. I have seen worse movies but not more annoying movies. The 'Baby' character was not sympathetic despite his laughable sob story - the film is far too smug with it's coolness for me to give a toss about any of it. This is also not helped by the fact that lots of the movie just doesn't make any sense. Without going into spoilers, there is a scene in a multi-storey car park towards the end that left me open-jawed and not in a good way. It was plain ridiculous. Over all, a big shame. Actually quite liked it. Not entirely sure why. Just a bit different to most. Would have given it 3, but so much really dire films out that deserves a lift. The best edited and sure-footed film I've seen in quite some time. A small company of actors create something at once fleet-footed yet moving, lots of fun as well as a thrill ride. Turn up your speakers, sit back and indulge in a couple of hours of cinematic joyriding. A light hearted caper movie with a fun sound track. Who can remember Egyptian Reggae or Neat Neat Neat? Oh dear. This is suitable only for pre-adolescent boys who have not yet grown up enough to notice girls. 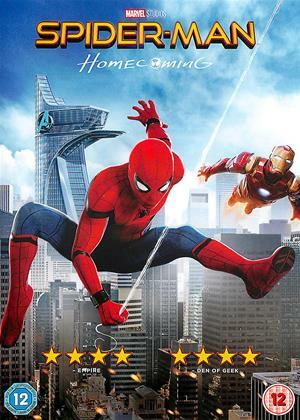 Very much an Edgar Wright film - blazing eclectic soundtrack, wham-bam zippy high-def superhero-style cartoon action scenes and yet zero substance with the predilections of a bored teenager. The introduction, with their shticky choreographed-to-the-music with CGI overlays fascination, and Baby's ultra slick driving getaway for a bank heist, is entertaining enough as a distraction but not something that especially engaged me. And this remains it's problem as it attempt to deliver some kind of build up to the expectedly hyper 3rd act. The music-sync thing rather forgotten and Baby, whom it is implied is happy to drive getaway and has been for a while before the start of the film, moves on his conscious. The reasonable cast of actors have little to work with however when they are called upon. Space is vaguely threatening in his few scenes, Hamm a psycho in love (a la Clyde), Foxx annoying and Gonzalez a gun-toting Bonnie for a couple of scenes - in all, a set of barely two-dimensional characters. The denouement, where Baby forgets the cars and suddenly opts for the gun, a little bit the desperado (but hey, he's a good kid), is utterly ludicrous and like something out of a DC film. Stylish yes but utterly forgettable and not remotely engaging or well written. An original idea for a movie at last. Very creative direction and editing, excellent music and acting, great stunts and even a twist at the end. Director Edgar Wright had apparently been dreaming of a movie like Baby Driver since the 1990s. What a dream it must have been and all the more fantastic to see come alive on screen. Much like his previous films of Shaun of the Dead and Hot Fuzz, this movie is a breathing beast of fast-paced thrills with a brain to make it looks like a genius artist delivering powerful brushstrokes at a speed of 125%. His wicked skills of staging the most intense of car chases perfectly synced to some of the greatest music ever made is more than enough to prove he’s one of the greatest directors of the 21st century. Our hero is known as Baby, a young getaway driver played by a reserved and sweet Ansel Elgort. He doesn’t talk much, preferring to be lost in the music of his MP3 player, even during robberies. Placing the earbuds in his ears and cranking the volume allows him to concentrate enough to perform unbelievable escapes with an automobile, as seen in the film’s dizzyingly brilliant opening chase. He works for the mysterious Doc (Kevin Spacey), trying to repay a debt he owes through robbery jobs. Baby is almost out and has a great life waiting for him with his deaf elderly roommate and a charming waitress (Lily James) that fancies him. But Doc won’t let his star player go so easily. Baby continues to work the robbery game with a colorful batch of character. Jon Hamm and Eiza González play a criminal couple that has the most history with Baby, able to inform their co-criminals on heists of his tinnitus and music-loving habit. Despite the introduction, the more chaotic Bats (Jamie Foxx) doesn’t trust the kid. Easily threatened and with a short fuse that leads to an itchy trigger finger, Bats is determined to both get back at the silent Baby and make his mark on those he thinks will wrong him. A shootout is not only in his future, but a sure thing for the man who would rather shoot first and never ask questions. Per Edgar Wright’s style, the film is an expertly edited piece of action filmmaking. Everything from the elaborate car chases to Baby going out for coffee is a well-coordinated ballet tuned to the beat of whatever Baby has on his playlist. As with any heist picture, the crimes grow trickier as Baby’s life spirals out of control and the chases become more intense. And, wow, is it a rush, right up to the thrilling climax where Baby finds himself in a car battle perfectly synced to the melody of Queen. There’s detail in nearly every frame, to the point where if you look close enough you can notice Wright himself pop into the picture. More than just visuals, I love the little quirks of Baby’s quiet life that seem foreign to others. He makes a point of taping every conversation he has with Doc. This is not because he wants to rat out his employer but because he desperately wants some vocals for his extensive collection of remixes. When Bats calls Baby slow, Doc asks if he was slow during the robbery. Baby runs with that conversation and churns out a remix so damn good it can be heard in its entirety in the end credits. I also dug how the backstory of his parents is slowly revealed in a series of tender and meaningful flashed that wrap so nicely into the story where Baby finds himself fighting for his life and the waitress he loves. While the film may not have the same geeky zip that Wright is most known for in all his films, it does feature the director at his finest of spectacles with a real flair for music, character, and cars that create a hypnotic swirl of cool. Baby Driver is almost dreamlike in how it relies on mere editing to deliver the most exciting of car chases, far beyond using explosions and over-the-top crashes to be intense. The character all have a believable drive and there’s a genuine spirit of heroism inside Baby that comes out at the most needed of times. Of Hot Fuzz was an ode to action movies that pay homage and winks to the genre, Baby Driver is the real deal, proving that Wright can do more than just gush about thrilling movies, but make them as well. This very well may be the best film he has made, which is saying something for his already robust resume.